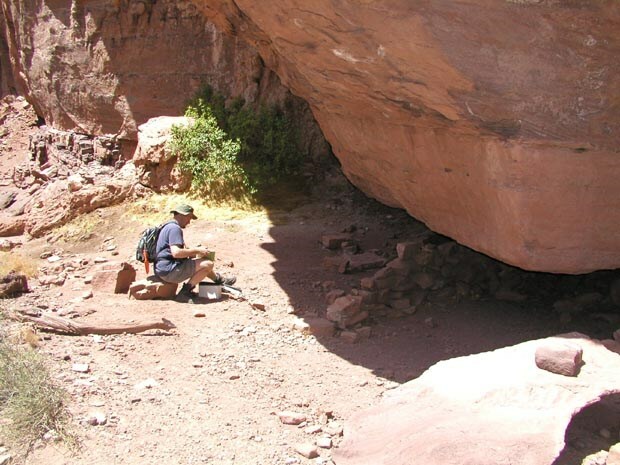 This virtual cache is the location of Anasazi ruins. It is a 40 mile round trip backpacking adventure requiring a minimum of three nights in the canyon (4 nights are recommended). 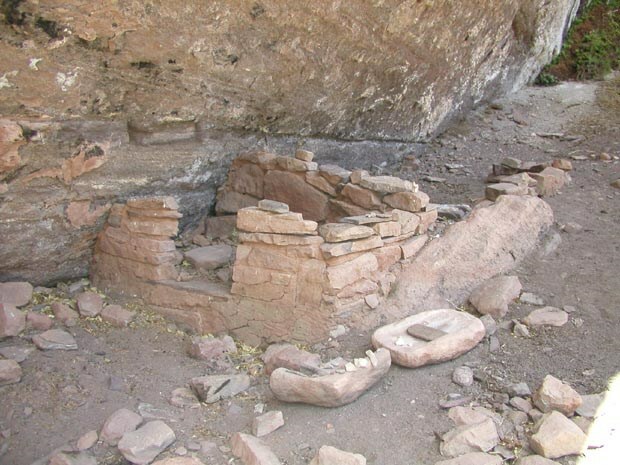 This little known historical site was a location of a small community of Anasazi Indians. In an effort to preserve the site, do not touch or disturb any items, rock formations, or walls at the site. Do not touch anything. Although this is a virtual cache, a log book is supplied by the National Park service at this site. This log book is for all visitors and is not marked as a Geocaching site. Although the log book is contained in a container, do not leave or take any items from this container. You will have to spend at least three nights at different location within the canyon to reach this site. To get to this remote site a 40 mile round trip backpacking adventure is in store. An overnight permit to camp is required and must be obtained from the National Park Service in advance. No facilities are available at the site. This site is located in the AK9 Wilderness area where a Overnight Wilderness permit is required by the NPS. Permits to the area are limited. From the Clear Creak area, no trail leads up the canyon to the site. You will have to follow a creek. This is a sensitive area. Do not camp near the actual ruin site. When visiting the ruins, don't follow one of the foot-trails to them. Take an unused path, trying to hop on rocks. They don't want an obvious use-trail to the ruins. Also, use-trails cause erosion that can lead to the collapse of the walls. Similarly, avoid walking too close to the walls due to the erosion issues. Don't gather artifacts into piles or 'collections' - they should stay undisturbed and scattered. Find the location and take a picture of yourself (or another of your team member) with your GPS in hand. (No GPS in the photo - then no found log. Old Photos do not count for anything other than a logged note). The Log BookEd Ramsey makes an entry into the log book provided by the National Park Service. Initial View of the RuinsThis is one of the first views you will see as you arrive to the site.